A Basic Class Kit is required for all classes. Please pre-register in the store at least 24 hours prior to the class. Classes not meeting a minimum number of participants will be canceled. - anything else you can't live/create without! Let's kick off the Christmas card making season with a fun class designed using Basic Grey's "figgy pudding" collection. We'll create a minimum of 6 cards, designed by Tara, in this high paced classes and everyone will take home materials to create several more projects! Please bring a circle punch (anywhere between 1 & 1 ½") and large corner rounder as well as your basic class kit. 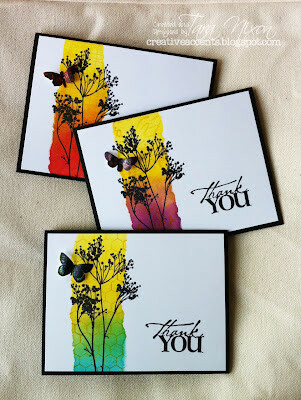 masking, heat embossing & paper piecing! flower & a pumpkin with a metallic finish! In addition to these 2 great projects, everyone will take home a surprise bonus gift that will have you adding texture to a variety of other projects! Funky 2 page layout featuring the "Teen" collection by American Crfts. Description to come… See sample in the store. This workshop will give you a basic introduction to Digital Storybooking with Heritage Makers, an online publishing system. We'll show you how easy and affordable it can be to 'go digital' with some of your scrapbooking projects and how convenient it can be to make memorable, personalized Christmas gifts using the materials available with Heritage Studio. If you have a laptop computer, please bring it for a more 'hands-on' experience. All participants will receive a credit for a FREE 12x12 scrapbook page!